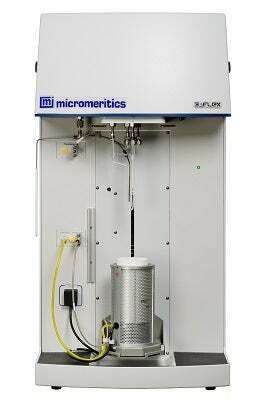 Micromeritics has added an option for a thermal conductivity detector (TCD) in its 3Flex Surface Characterisation range. This new option extends the ability of the scientist to gain greater understanding of catalyst and catalytic behavior to improve product performance and catalytic efficiencies. The 3Flex is a highly recognised and valued tool in the materials characterisation laboratory. In a recent commissioned study done by TechValidate, 3Flex was given a 4.5 out of 5-star rating by users, along with a strong recommendation to colleagues by 97% of those 3Flex users polled. Micromeritics president Preston Hendrix explains: "Being a market leader, our customers demand more and expect more from Micromeritics. That expectation must be met and when our customers asked for this improvement, we delivered this very effective solution to meet their needs." Micromeritics director of engineering Stefan Koch said: "Once again, our customers defined what we needed to do to meet their challenges. Micromeritics Instruments is an industry leader because we listen intently and deliver innovative solutions, not just products to help our customers succeed, and the 3Flex TCD option is another example of our committed response to those needs."